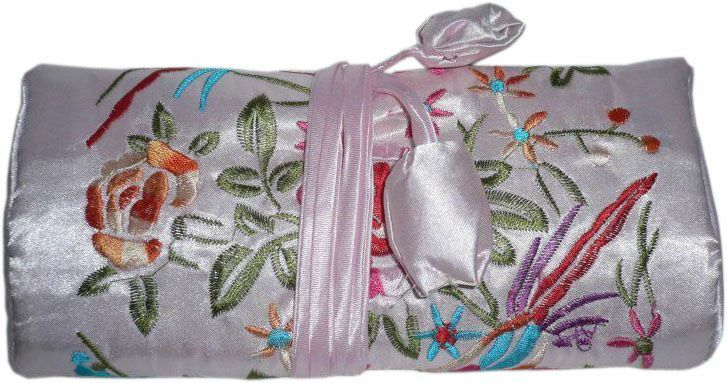 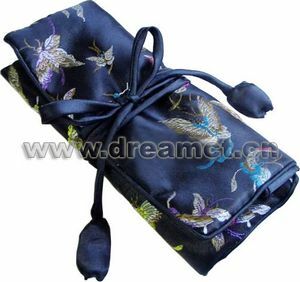 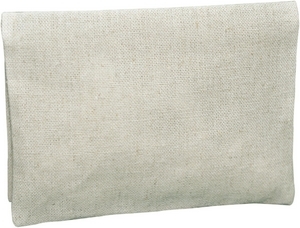 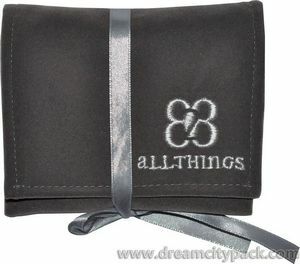 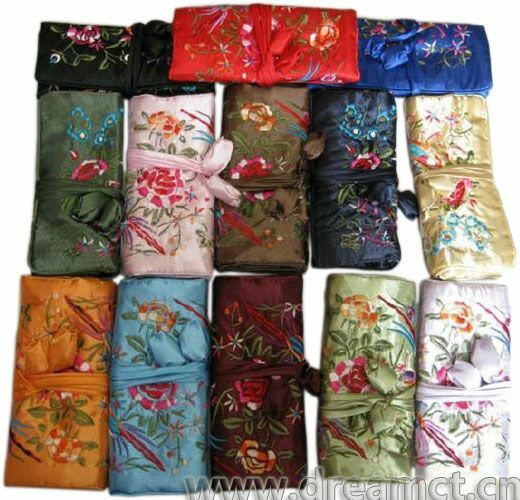 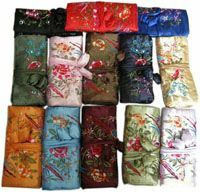 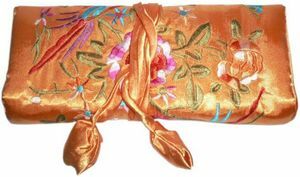 This brocade jewelry roll bag is 3 folded,with a white satin fabric lining and a spong inserted. It also has a matching rope or snap for close and 3 zippers inside. 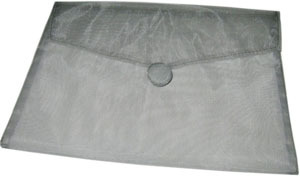 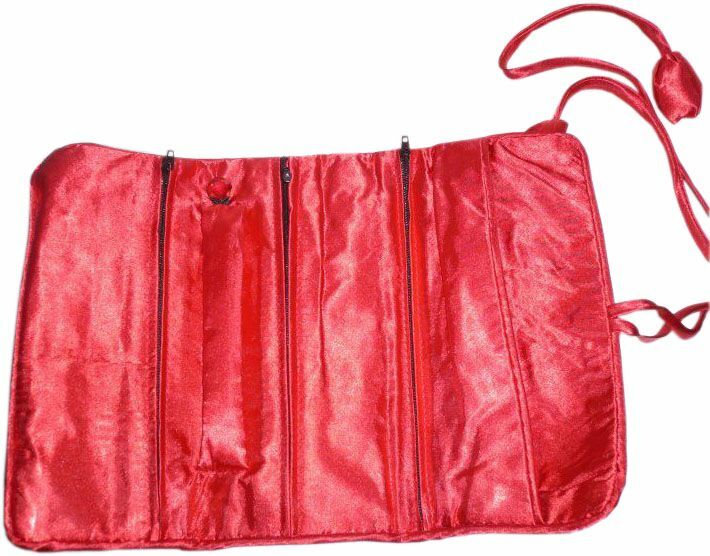 We can offer various colors and patterns of such purse,and can produce any size. 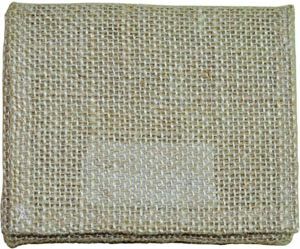 It's very popular to be used as wallet and it's also great for other purpose.